The Varian Medical Systems Truebeam is one of the most advanced radiotherapy and radiosurgery machines in the world, making treatment of lung, breast, intracranial, prostate, head and neck, and other types of cancer more accurate, rapid and effective. Attikouris Medical is pleased to announce that our medical technology partner, Varian Medical Systems, was selected to provide 6 state-of-the-art radiotherapy and radiosurgery machines at Guy’s Hospital in London. Located next to The Shard in London, the radiotherapy service at Guy’s and St Thomas’ NHS Foundation Trust serves a population of approximately 1.6 million people and currently treats about 3,500 cancer patients each year. By installing 6 Varian lines, the treatment capacity and accuracy will increase while waiting times will fall. 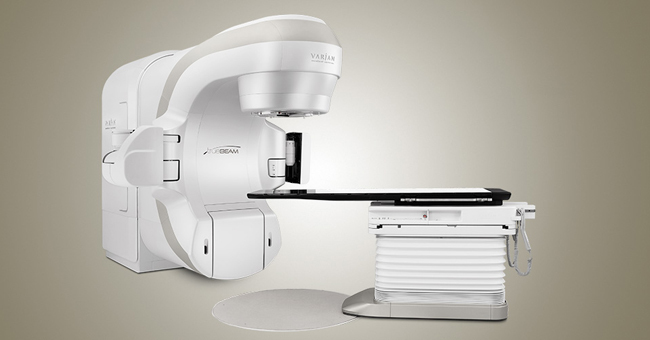 Designed to treat a moving tumor with speed and accuracy, Varian’s TrueBeam system incorporates numerous technical innovations that dynamically synchronize advanced imaging, patient positioning, motion management, and treatment delivery during a radiotherapy or radiosurgery procedure. TrueBeam has been designed to advance the treatment of lung, breast, intracranial, prostate, head and neck, and other types of cancer. Varian Medical Systems focuses energy on saving lives and is the world’s leading manufacturer of medical devices and software for treating and managing cancer. Headquartered in Palo Alto, California, Varian employs approximately 6,400 people at sites around the world. Attikouris Medical Division represents Varian Medical Systems in Cyprus. We provide state-of-the-art medical technology in Cyprus, backed by our professional team of medical engineers and scientists. For further information on Varian’s oncology and radiotherapy technology in Cyprus, please contact us. 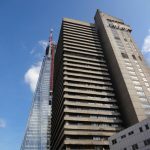 Guy’s & St. Thomas’ Charity operates the second-highest hospital building in the world, located just next to The Shard in London.